& then contact me to discuss your request. 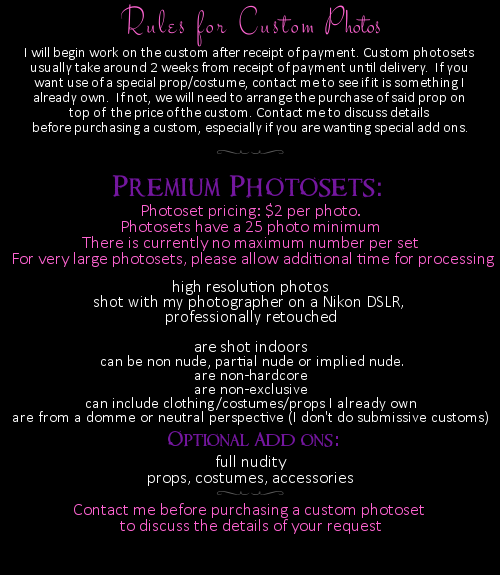 I do custom photosets too! Email me to discuss your custom!